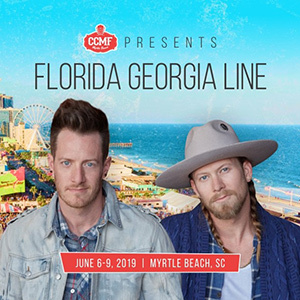 The Carolina Country Music Fest is coming to Myrtle Beach by the Boardwalk June 6 – 9, 2019! Carolina Country Music Fest is a three day long festival filled with some of the hottest chart topping country artists, as well as exposing country fans to the rising stars of the genre. 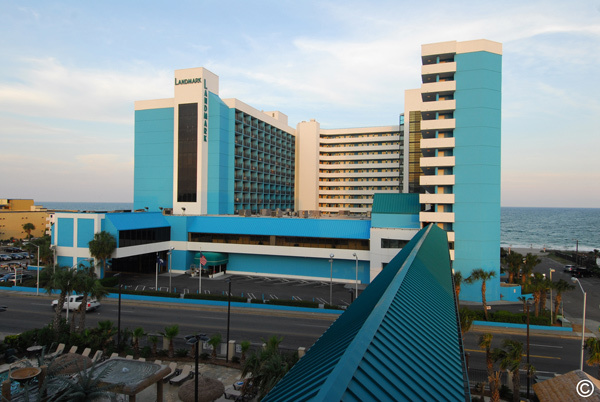 Myrtle Beach plays host to the festival right on the shores of the Atlantic Ocean, making attending the perfect way to get your much needed beach vacation! This festival usually includes over 30 musical acts. * Ticket prices include All Fees and Shipping! Savings of over $10 and Includes Festival Admission for June 7-10! Includes access to four stages of concerts and free activities! Savings of over $67 and includes general entry to the Thursday Kickoff Concert on June 6! Includes a private VIP viewing area, VIP entrance, exclusive restrooms, and private cash bar! Savings of over $215 and includes general entry to the Thursday Kickoff Concert on June 6! Includes an exclusive VIP viewing area, VIP entrance, exclusive restrooms, platform level viewing area with full bar, air conditioned catering tent, and complimentary food and beverages! Landmark Resort is the perfect place to stay! Save up to 32% off accommodations, and easily add tickets when booking! 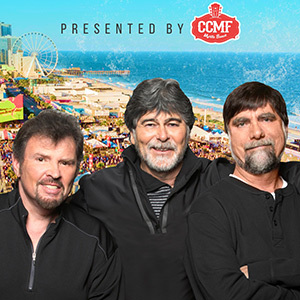 Alabama – Thursday Night Kickoff Concert Headliner – Included w/VIP Tickets! Headliners for Carolina Country Music Fest 2019! Thursday Night Kickoff Concert Headliner – Included w/VIP Tickets! General Admission 3-Day Pass Gets You Reentry All Weekend, June 7-9, 2019! Main Stage VIP & Super VIP 4-Day Passes Get You Reentry All Weekend, Plus Includes the June 6, 2019 Thursday Night Kick-Off Concert! For the performance schedule, Click Here! 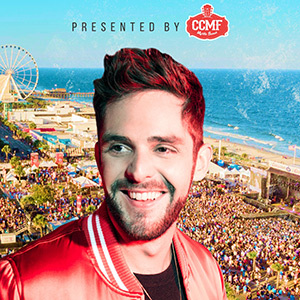 • CCMF is a rain or shine event. • Purchases are non-refundable. All sales are final. • Adult friendly festival – children over 10 must purchase and have a wristband. Children 10 and under are admitted free without a wristband but must be accompanied by an adult. • Wristbands are non-transferable and will be voided if tampered with, broken or lost. • Wristband replacements if stolen, broken or lost are $10 and can be exchanged at Will Call. 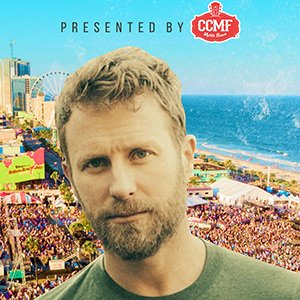 • You may leave the festival site and return with your Official CCMF Wristband. • Line-up is subject to change without notice. • No pets permitted – service animals only. • All wristband holders are subject to search upon entry. • Once you purchase, you will receive an order confirmation email from Eventbrite on behalf of Carolina Country Music Fest within 2 business days. A valid ID and the credit card used to purchase the ticket must be presented to pick up and/or exchange your wristbands. If you are not the original purchaser, you must provide a copy of the original purchaser’s ID, order confirmation, and credit card used to purchase (with last 4 digits visible) for wristband pickup. No exceptions.